Who just joined? Who has all the background noise? Can you see my screen yet? 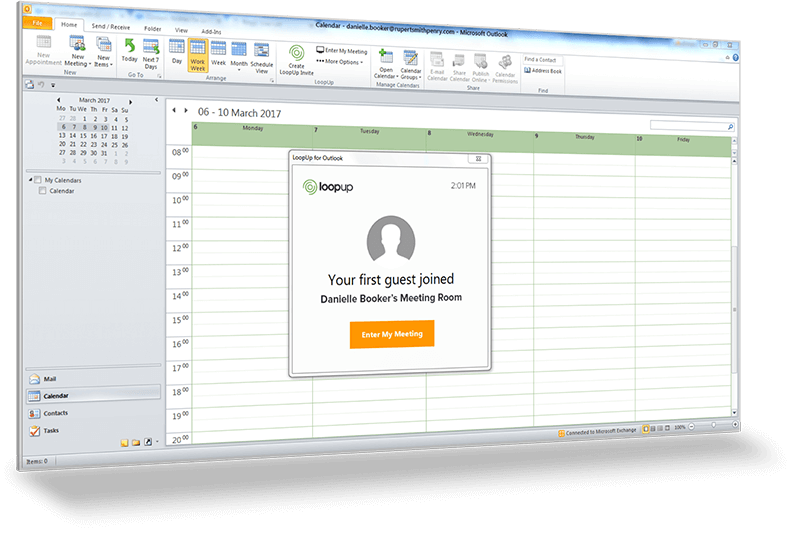 LoopUp gives you a better meeting experience – no training required. Watch the video to see how it works. Interested, but would like to try the product out? Stop scrambling for dial-ins or worrying about missing a meeting. LoopUp does the heavy lifting for you so you can kick off each meeting with confidence and ease. Call Start Alerts let you know when your first guest joins, so you're never late. Click the link and LoopUp calls you. No need to dial in. Get rid of unnecessary distractions and delays. Our intuitive interface puts you in control and lets you set the pace of your meeting. Always know who's on and who's talking. Add additional context with LinkedIn profiles. Easily add late joiners and mute background noise. 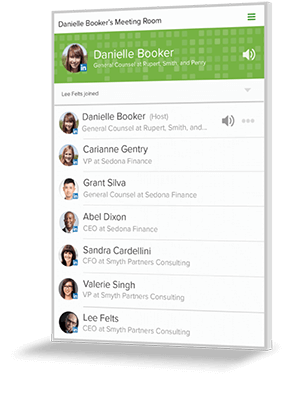 With LoopUp's seamless experience, you get more out of your meetings, period. LoopUp guides you to richer, helpful capabilities so you’ll have a great experience from any device – no training required. One click to share your screen with guests. Guests can view on any device - no plugins required. Allow your guests to share their screens, too. 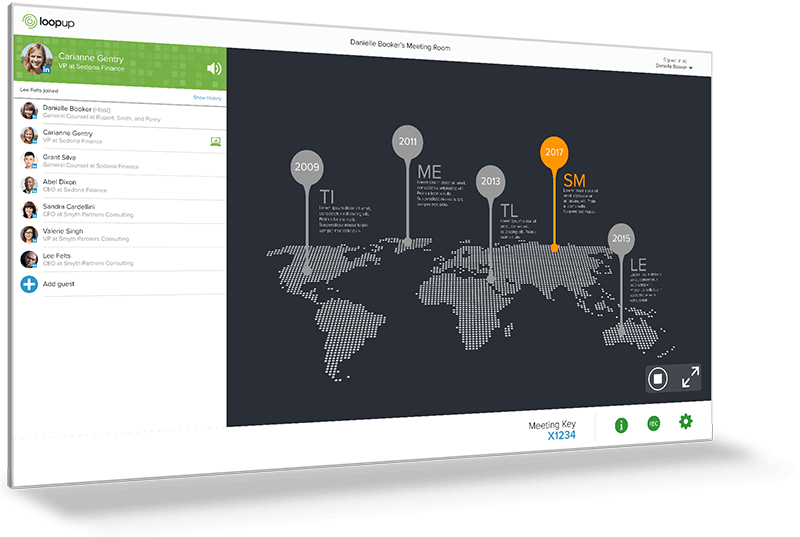 LoopUp doesn’t overwhelm you with specialist features or require user training. Get a tour.